YMCA Choir UK began life as a small community choir six years ago. 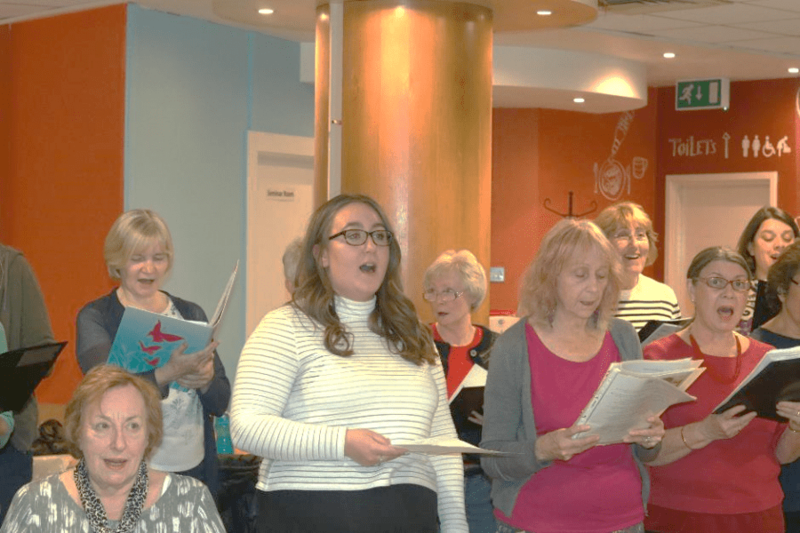 It has grown in success and by June 2019 there will be seven community choirs across YMCA St Paul’s Group in Surbiton, Wimbledon, South Ealing, Walthamstow, Roxeth Gate, Hayes and north Kingston, with ambitions to see community choirs set up with YMCAs across the country. Charlie Swift is the lead Musical Director of YMCA Choir UK, and he looks after the Surbiton and Wimbledon choirs. The choir is entirely inclusive with no auditions for new members. They pay £3.50 per week to attend (although residents and people on low income don’t pay) and the choir is self-funded by the members. “I’m a concert and theatre producer in my day job,” says Charlie, “so when it comes to securing venues for concerts, I have lots of contacts which is useful. We also seek funding through sponsorship, too. YMCA Choir UK ambassadors are volunteers who help with the logistics of running the choir, for example printing off the music, managing the register and payments and so on, so that the Musical Directors can focus on the music. All the choirs learn the same songs, so that they are able to perform together at concerts. “The songs range across the decades, from the 50s up to the current day. We’ve even got a bit of 1850s in the mix! We don’t do so much classical, its mainly pop, rock, funk. When we do a classical piece, it’s good practise and helps with learning harmonies,” says Charlie. Leading a choir as a musical director is hard work but great fun. “I have been with the choir for about three years. It’s been great and of course challenging at times, but when it all comes together it’s magical,” says Charlie. Watch our video of the YMCA Surbiton community choir in rehearsal. “About a year and a half ago, I walked past a community bulletin board and I saw a poster about the choir. I had wanted to join one for ages as I did a performing arts degree. I saw it, thought I would go along and I have literally not looked back since. Click here to register your interest with one of our community choirs.